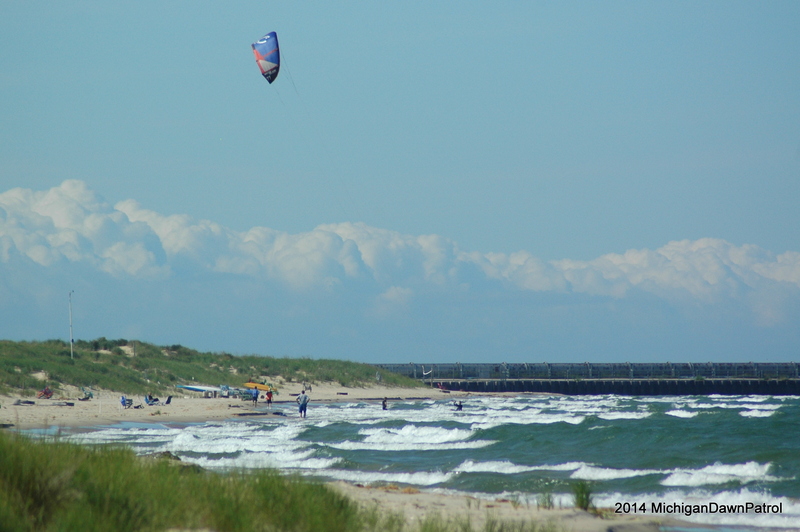 Great summetime kiteboarding this past Sunday at Port Sheldon. The water was warm and for the first time this season I didn’t need to wear a wetsuit. We got to the beach at 9:00, just after the rain had stopped and the sun had starting shining. The wind was side-on out of the south. 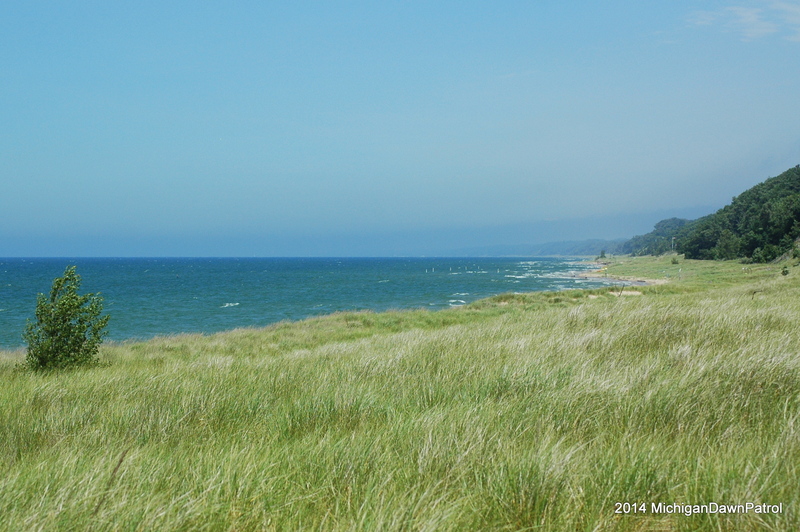 After rigging my kite and launching into the water I rode upwind to the jetty at the south end of the beach. Nice waves were developing a hundred feet north of the jetty. I would love to try the stand up paddle board here but there doesn’t appear to be any public access nearby. I decided to head back down wind to the launch area where “Jetty” was on his surf board. I boosted a few times on my way back to the launch area and landed pretty awkwardly each time. Something about the wind direction, chop and the fact that I hadn’t been kiting in a couple weeks made for some rough landings! 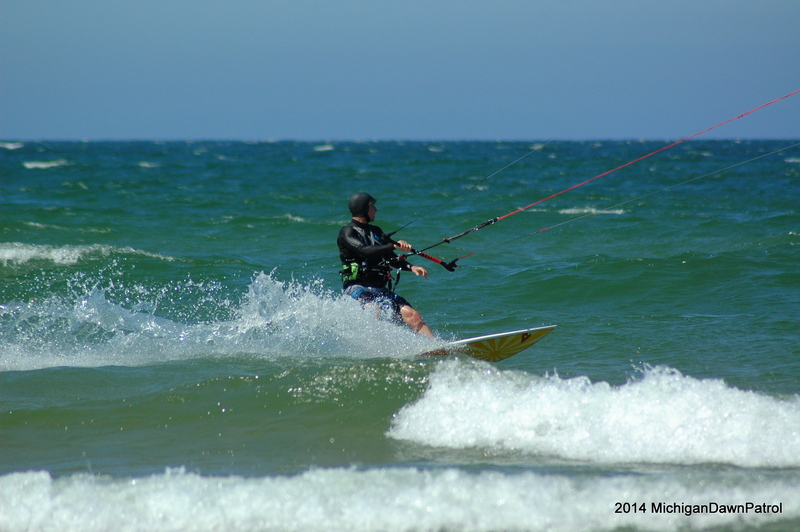 After refueling I tried my hand with the kitesurf board. I took a about 3 tacks and a few failed turns before going back to the twin tip. 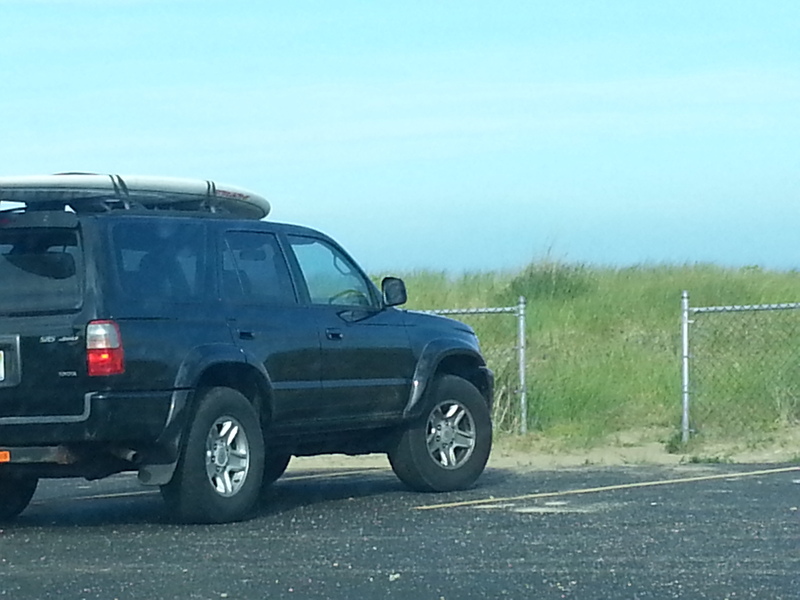 It really is like learning to kite all over again on a strapless directional. Around noon the wind was dropping and the beach had started to get crowded so I brought down my kite and packed up my gear. 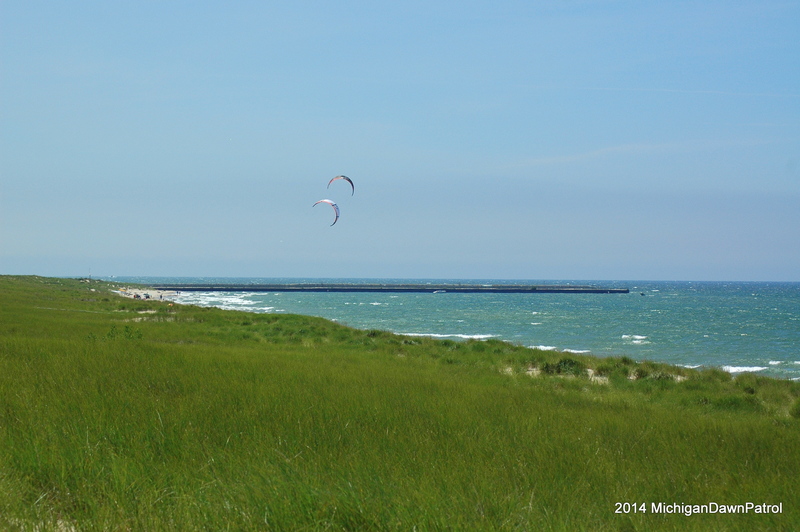 Port Sheldon is a beautiful kite spot that was only enhanced by the summertime kiting conditions. I’m looking forward to my next ride anywhere but especially looking forward to coming back to Port Sheldon.